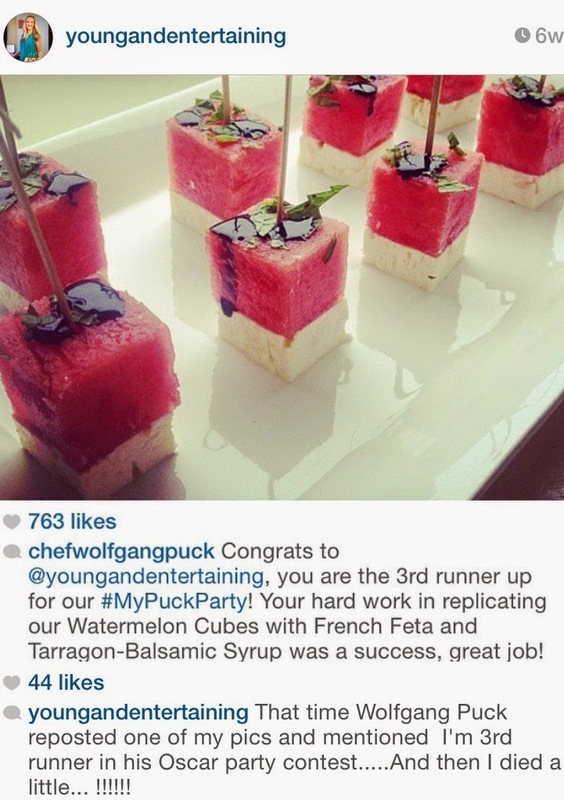 During the Oscars, I noticed Wolfgang Puck was hosting an instagram contest for a variety of categories. I few of those included Best Plating, Best Cocktail, Best Decor. Obviously, I immediately got to hash-tagging some of my photos and much to my surprise, I ended up being the third runner up! Now, I realize i'm probably not going to be quitting my job because I won an instagram contest, but let me tell you, I was excited! 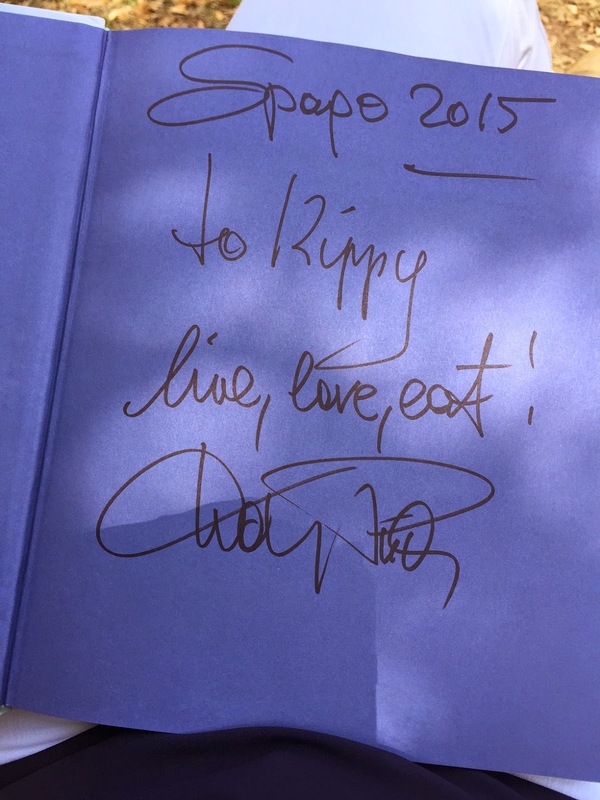 Just to have Wolfgang Puck re-gram my photo was enough to set me over the edge. I wasn't actually recreating their dish, but i'll let Wolfgang think that! 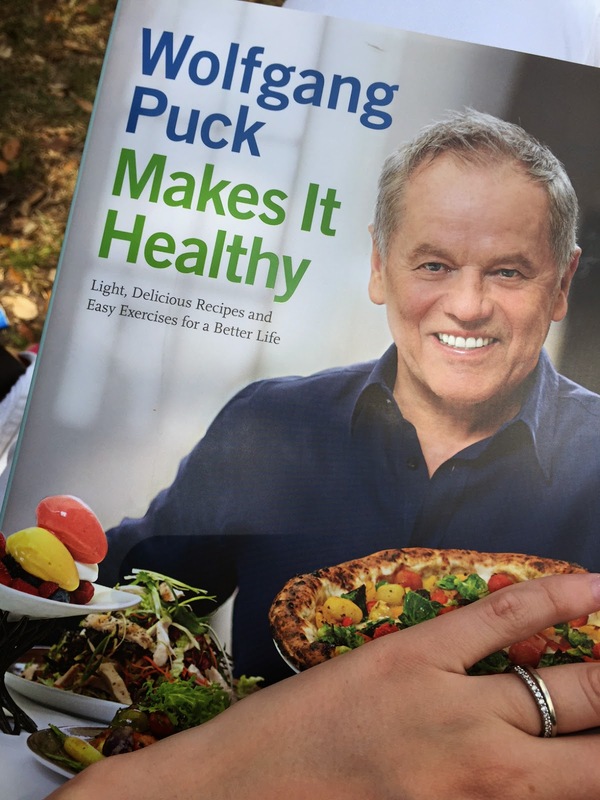 Even better, when I arrived home from work last week I found on my front doorstep an autographed copy of his newest book, Wolfgang Puck Makes it Healthy. This book is so beautiful and the recipes look amazing. Everything looks so flavorful and delicious, and the book includes so many new and fresh ideas for lightening up some of our favorite things (even pizza!). 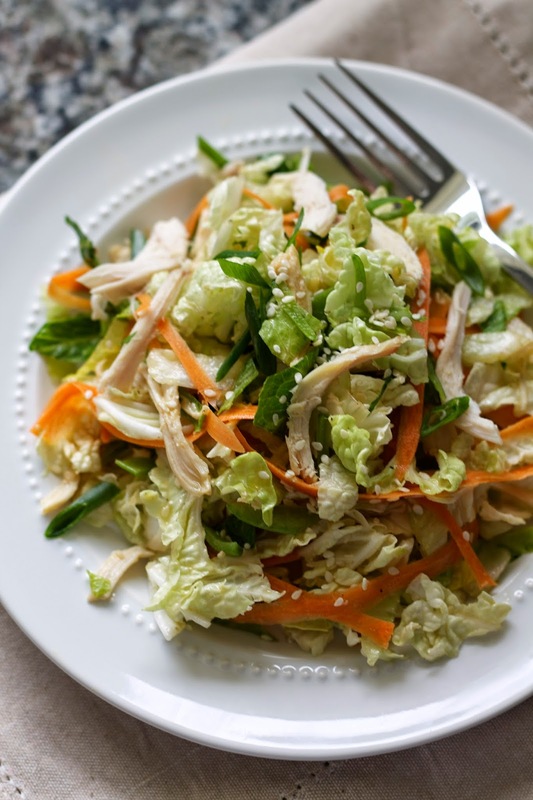 I've been on a big salad kick lately so I thought I'd start by making a batch of his popular dish, Chinois Chicken salad with Chinese Mustard Vinaigrette. The recipe did not disappoint - i'm looking forward to eating it all week. I switched up a few of the ingredients that were hard to find, and the results were fantastic. So many delicious flavors between the chinese mustard and soy sauce, with great crunch from the cabbage and snow peas. Combine all ingredients for vinaigrette in a mason jar. Shake well to combine. Taste, and add more salt/pepper as needed. Toss together all of the salad ingredients. Toss with dressing and serve immediately. Enjoy!